Posted in: 2 Shout-out-Looks, 5 TV Tales. Tagged: Dominic Zapata, Glaiza de Castro, GMA-7, Katrina Halili, Luis Alandy, My Husband's Lover, Rhian Ramos, The Rich Man's Daughter. If you still don’t know by now, there is a more-than-a-week-old teleserye on GMA-7 that tackles the story of true love between two women titled “The Rich Man’s Daughter” – from the same team that brought us “My Husband’s Lover” almost two years ago. The synopsis (as stated on Wikipedia): As Jade (Played by Rhian Ramos) discovers something about herself and upholds her personal truths, will she still be able to experience unconditional love from her family and friends? Will she be able to hold on to her personal truths and fight for her love even if it will destroy her family? She is a woman looking for answers. Is she willing to break her family’s traditions? The youngest and only daughter, Jade is the family’s jewel. When she meets Althea, everyone’s perspective of her life and personal changes. Watch a video of the show’s storyline now. Directed by Dominic Zapata, “The Rich Man’s Daughter” stars Rhian Ramos, Glaiza de Castro, Luis Alandy, Mike Tan, Katrina Halili, Gloria Romero, Al Tantay, Glydel Mercado, Chynna Ortaleza, Pauleen Luna, TJ Trinidad, Paolo Contis and Charee Pineda. You can catch it on GMA-7 Mondays-Fridays at around 9:45PM. Posted in: 2 Shout-out-Looks, 5 TV Tales. Tagged: Benjamin Alves, Carla Abellana, Dennis Trillo, Dingdong Dantes, Glaiza de Castro, GMA Artist Center, GMA Films, GMA News TV, GMA-7, Heart Evangelista, Jonas Gaffud, Lovi Poe, Mercator Model and Artist Management, Party Pilipinas, Rhian Ramos, Richard Gutierrez. It’s Sunday. Let’s take a much-needed breather from all the Bb. Pilipinas 2012 frenzy just for today so I can introduce one male personality who is very likely to become the next matinee idol of Philippine showbiz. Some might ask, “Benjamin who?” Well, the guy is a talent of the now-famous Mercator Model and Artist Management and is being handled by head honcho Jonas Gaffud who divides his time between making beauty queens and transforming models into hot celebrities. He is most definitely a cutie of a hunk – what with that good-looking face, those piercing eyes, and a pretty nice built. You’d better get ready to see more of him in the next few months as he starts embarking on a showbiz career that should make ‘Benjamin Alves‘ a household name in no time at all. 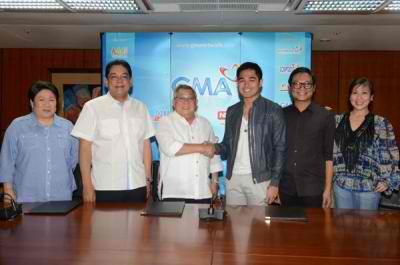 Just earlier this week, Benjamin became a certified ‘Kapuso‘ after signing an exclusive contract with GMA-7 which signals his big-time entry into TV and the movies. Knowing the network, I trust that he will be initially casted in one of its’ top-rating primetime or afternoon prime teleseryes for starters. He should also be seen taking part in the Sunday musical-dance/variety program ‘Party Pilipinas’ plus guest appearances in some GMA-7 and GMA News TV shows. 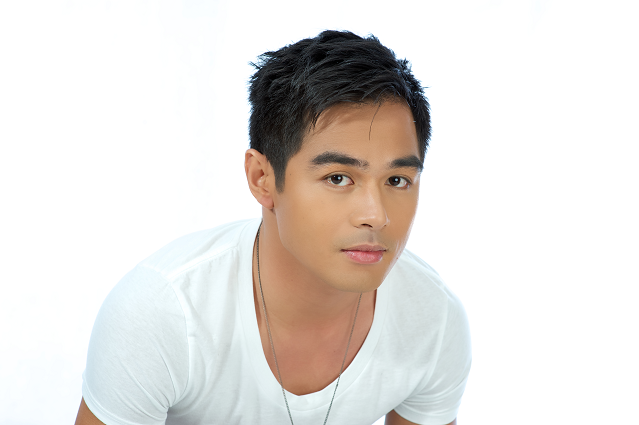 With those killer looks, how can Benjamin Alves miss? Benjamin – co-managed by GMA Artist Center and Mercator – will be gradually molded into a dramatic actor in hopes of assuming leading-man status and getting paired with some of the network’s top actresses like Heart Evangelista, Lovi Poe, Rhian Ramos, Carla Abellana and Glaiza de Castro. Movies will most probably be in the offing as well. 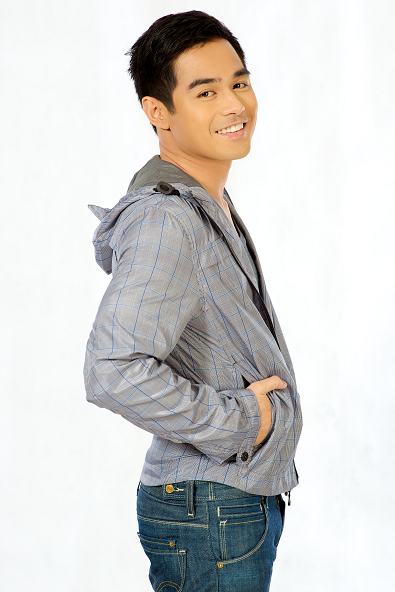 GMA Films has been steadily churning out a variety of flicks where he could get a role or two in the near future. So what does the future hold for this tall and handsome 23 year-old? A lot, I reckon. He can fill the niche of GMA-7’s stable of artists waiting to be the next Dingdong Dantes, Richard Gutierrez or Dennis Trillo. Please feel free to like his Facebook Fanpage by clicking HERE. Movie watch: “The Road” (from GMA Films) is as creepy as it gets! Posted in: 6 The Movie Corner. Tagged: Alden Richards, Arrow in the Head, Barbie Forteza, bloody-disgusting.com, Carmina Villaroel, Derrick Monasterio, GMA Films, Jared Pacheco, JoBlo.com, killerfilm.com, Let the Right One In, Lexi Fernandez, Louise delos Reyes, Marvin Agustin, Renz Valerio, Rhian Ramos, The Road, TJ Trinidad, twitchfilm.com, Yam Laranas, Ynna Asistio. If I have interested you so far, then mark the date – November 30 – when “The Road” will open all throughout the Philippines. 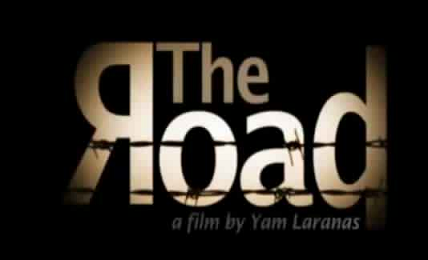 “The Road” is directed by internationally-acclaimed director Yam Laranas (“The Echo”) and stars Carmina Villarroel, Marvin Agustin, Rhian Ramos, TJ Trinidad, Barbie Forteza, Ynna Asistio, Derrick Monasterio, Lexi Fernandez, Alden Richards, Louise Delos Reyes and Renz Valerio. Posted in: 6 The Movie Corner. Tagged: Albie Casino, Alden Richards, Aswang, Barbie Forteza, Carmina Villarroel, Derrick Monasterio, GMA Films, Iza Calzado, Jerrold Tarog, Jesse Bradford, Jillian Ward, Lexie Fernandez, Louise delos Reyes, Lovi Poe, Marc Abaya, Marvin Agustin, Nina Jose, Paulo Avelino, Precious Lara Quigaman, Regal Entertainment Inc., Rhian Ramos, The Road, TJ Trinidad, Yam Laranas, Ynna Asistio. In the next two months, two local films of the horror genre will be released nationwide and they look very interesting enough. I’m a fan of scary movies, aside from the fact that the two directors – Jerrold Tarog and Yam Laranas – have proven themselves more than competent to come up with works that can make your skin crawl. Check them out. Jerrold Tarog caught my attention when he directed the “Punerarya” (Funeral Parlor) episode of Shake Rattle & Roll 12. He gave the same a look and feel that sent shivers to my bones. This time around, he came up with a remake that thrives in a rustic macabre setting which lends more authenticity to the folkloric origins of the flesh-eating creatures called “Aswang“. I’m excited to watch this one. Watch the teaser trailer above and you’ll see what I mean. “Aswang” is presented by Regal Entertainment, Inc. Directed by Jerrold Tarog, it stars Lovi Poe, Paulo Avelino, Jillian Ward, Marc Abaya, Nina Jose, Precious Lara Quigaman and introducing Albie Casino. 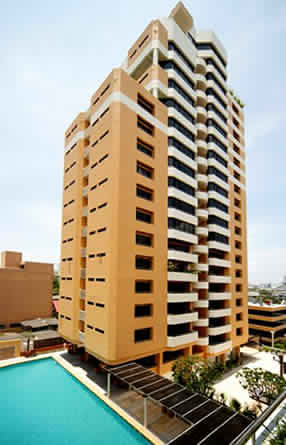 It opens October, 2011. On the other hand, Yam Laranas has been churning out mostly horror flicks ever since he started making a name for himself in the biz. In fact, he remade one of his earlier works – 2004’s “Sigaw” (Scream) – into a (straight-to-video) Hollywood production that starred Jesse Bradford and local actress Iza Calzado. 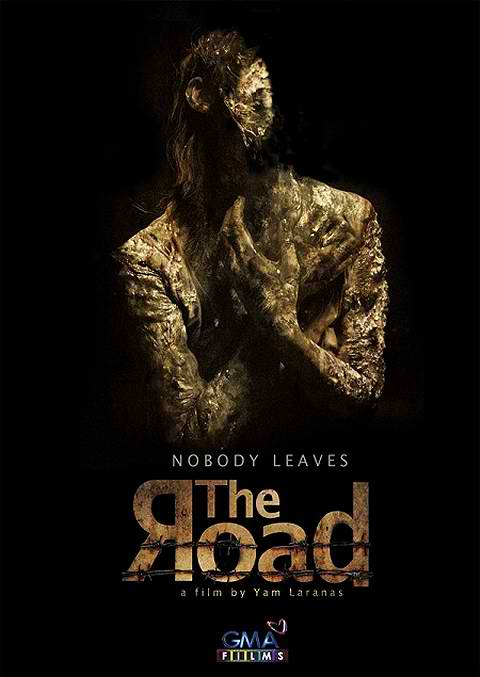 His latest offering is “The Road”, an intriguing ghost story that delivers less of the gore and more of the build-up scare tactics – all rolled into an excellently-photographed production that makes me want to watch the whole thing. The Road is presented by GMA Films and director Yam Laranas. It stars Rhian Ramos, TJ Trinidad, Carmina Villarroel, Marvin Agustin, Barbie Forteza, Alden Richards, Louise delos Reyes, Derrick Monasterio, Lexie Fernandez and Ynna Asistio. It opens November, 2011. Posted in: 5 TV Tales. Tagged: Aljur Abrenica, Bea Benene, Dennis Trillo, Dingdong Dantes, Dion Ignacio, Enzo Pineda, GMA-7, Iza Calzado, JC Tiuseco, Lupang Hinirang, Marian Rivera, Mark Anthony Fernandez, Marvin Agustin, Paolo Paraiso, Paolo Rivero, Rhian Ramos, Richard Gutierrez, TJ Trinidad, Victor Aliwalas. GMA-7 recently launched their landmark production of “Lupang Hinirang“, the Philippine National Anthem which currently signs in and signs off their daily broadcast. This will also be officially used in all SM Cinemas nationwide. The video highlights the different historical points in the country’s history that led to where we are right now. It assembles the biggest and the brightest talents of GMA-7 portraying roles such as Lapu-Lapu (Aljur Abrenica), Gregorio del Pilar (Dingdong Dantes), Manuel L. Quezon (Richard Guetierrez), Emilio Aguinaldo (Dennis Trillo), Andres Bonifacio (Mark Anthony Fernandez), Dr. Jose Rizal (Marvin Agustin), People Power nun (Marian Rivera), Gomburza (Paolo Paraiso, Victor Aliwalas & Bodie Cruz), the women who created the first Philippine flag (Iza Calzado, Rhian Ramos & Bea Benene), Filipino-American War heroes (TJ Trinidad, JC Tiuseco, Dion Ignacio & Enzo Pineda) and many more! “Lupang Hinirang,” which runs for two and a half minutes, is directed by Paul Ticzon, who says it took his team 10 months of meticulous research and preparation to shoot the vignettes. Personally, I feel proud(er) of being a Filipino everytime I watch the same. Party Pilipinas debuts on GMA-7! Posted in: 5 TV Tales. Tagged: Aljur Abrenica, Barbie Forteza, Bianca King, Carla Abellana, Dingdong Dantes, Diva Montelaba, Enzo Pineda, Frencheska Farr, Geoff Taylor, Gian Magdangal, GMA-7, Heart Evangelista, Iza Calzado, Janno Gibbs, Jay-R, Jaya, Jhake Vargas, Jolina Magdangal, Joshua Dionisio, Kris Bernal, Kris Lawrence, Kyla, La Diva, Lovi Poe, Marian Rivera, Mark Bautista, Mark Herras, Marvin Agustin, Miguel Escueta, Ogie Alcasid, Party Pilipinas, Pop Girls, Raymond Gutierrez, Regine Velasquez, Rhian Ramos, Richard Gutierrez, Rocco Nacino, Rochelle Pangilinan, Ruben Monet, Sarah Lahbati, Starstruck V Avengers, Steven Silva, Sunshine Dizon, Tim Yap, U-Kiss, XLR8, Ynna Asistio. Today, at exactly 11:45AM, GMA-7’s new Sunday musical-variety show makes its premiere. Party Pilipinas, which replaces the long-running SOP, has been heavily anticipated for the past few weeks now. Aside from having all the network’s top and upcoming stars hosting and/or appearing in the show, many other artists and performers have been signed up to spice things up. 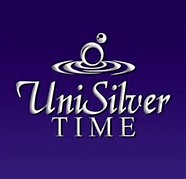 SOP’s original quartet of hosts – Ogie Alcasid, Regine Velasquez, Jaya and Janno Gibbs – will continue to anchor the show. They will be joined by Richard Gutierrez, Dingdong Dantes, Marian Rivera, Heart Evangelista, Carla Abellana, Jay-R, Kyla, Carla Abellana, Raymond Gutierrez, new kapuso talent Mark Bautista, Marvin Agustin, Iza Calzado, Rhian Ramos, Aljur Abrenica, Kris Bernal, Mark Herras, Kris Lawrence, Ynna Assistio, La Diva, Joshua Dionisio, Barbie Forteza, Jhake Vargas, Steven Silva, Sarah Lahbati, Diva Montelaba, Enzo Pineda, Rocco Nacino, the Starsruck V Avengers, Miguel Escueta, POP Girls, the newly-formed Party Pilipinas Dance Crew, new Pinoy boyband XLR8 and a lot more. The network even hired internationally-renowned dance choreographer Ruben Monet to handle all the dancers’ moves in the same. Meanwhile, popular Korean boy band U-Kiss will make their first appearance on Philippine TV via Party Pilipinas. Posted in: 1 Pageant Pages. Tagged: Binibining Pilipinas 2010, Drew Arellano, GMA-7, Jay-R, Rhian Ramos, Show Me Da Manny, SNBO. 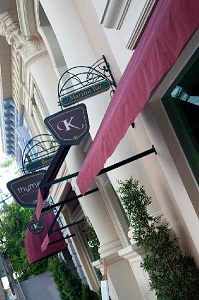 You might have missed my previous blog about Binibining Pilipinas 2010 having a pre-pageant scheduled for tonight. This will be a perfect opportunity for those who want to scrutinize the 24 Official Candidates before the finals on March 6. They will be presented in their (2-piece) swimsuits and evening gowns afterwhich several special awards will be handed out. The special presentation has never been done by the organizers for a long, long time now. It will be shown on SNBO after Show Me Da Manny over GMA-7 (around 10:30PM). The Pre-Pageant Night will give the viewers a chance to take a closer look at the 24 official candidates as they sizzle and mesmerize in the swimsuit and long gown competitions. It will also be in this pageant that winners of the first batch of special awards will be announced, including the first winner of the Best in Regional Costume award. It will be hosted by Rhian Ramos, Drew Arellano and Jay-R. JayR also joins Kris Lawrence and American Idol finalist AJ Tabaldo in a special medley of love songs with the official candidates.